I've taken a bit of a blogging break, but am back to promote the project that has been absorbing so much of my time over the last two months. 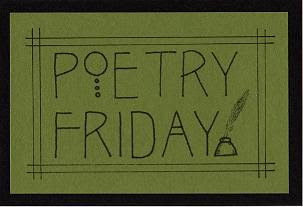 It's another collaboration with friend and poet Janet Wong: THE POETRY FRIDAY ANTHOLOGY! 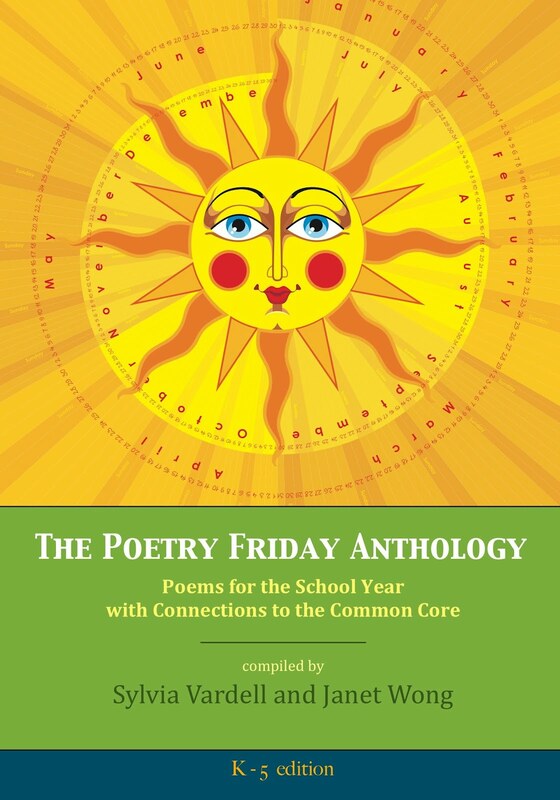 Coming just in time for the 2012-2013 school year, The Poetry Friday Anthology is available now. It's a new anthology of 218 original poems for children in kindergarten through fifth grade by 75 popular poets including J. Patrick Lewis, Jack Prelutsky, Jane Yolen, Margarita Engle, X. J. Kennedy, Kathi Appelt, Guadalupe Garcia McCall, Georgia Heard and Nikki Grimes and many more. 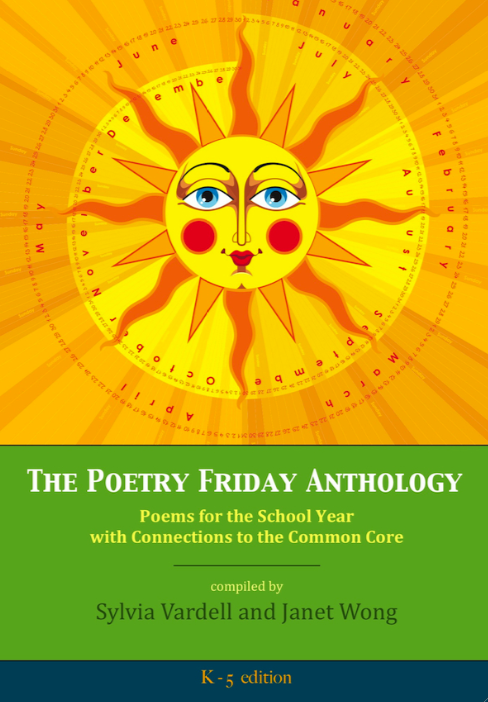 The book includes a poem a week for the whole school year (K-5) with curriculum connections provided for each poem, each week, each grade level. Just five minutes every “Poetry Friday” will reinforce key skills in reading and language arts such as rhyme, repetition, rhythm, alliteration, etc. The other hook is the call for connecting with the new Common Core standards (and in Texas where the Common Core was not adopted-- don't get me started-- connecting with the TEKS, Texas Essential Knowledge and Skills). We've always had curricular standards of one kind or another, but poetry hasn't always been an explicit component. It is now! Of course this worries me a bit as poetry may also be abused and butchered in the name of test preparation. But the challenge is to provide guidance in sharing poetry that respects the integrity of the poem, celebrating the pleasures of language, while reinforcing the necessary skills. That's the second book "hook"-- we've tied every poem in The Poetry Friday Anthology to the Common Core standards (and TEKS standards in Texas) for poetry. This book is first and foremost a quality anthology of 218 original poems for children written by 75 of today’s most popular poets. Children in any state (or country) can enjoy, explore, and respond to these poems. However, we have also come to realize that educators, librarians, and parents are looking for guidance in how to share poetry with children and teach the skills within the curriculum as well. Thus, this book offers both. It's part poetry collection and part professional resource guide-- quality poetry plus curriculum-based suggestions for helping children enjoy and understand poetry more deeply. You'll find more information about the book at the PoetryFridayAnthology blog here. Our official launch date is Sept. 1 when we hope to offer an e-book version of the book as well-- projectable and searchable! But the print version of the book is available NOW to help jumpstart the school year with poetry. I'll also be posting a few nuggets from the book here in the near future-- as well as more about our new joint publishing venture, Pomelo Books. Meanwhile, Janet and I hope you'll give the book a look and help us spread the word. Be sure to check out the rest of the Poetry Friday sharing this week at Mary Lee's A YEAR OF READING and Andi's A WRUNG SPONGE.